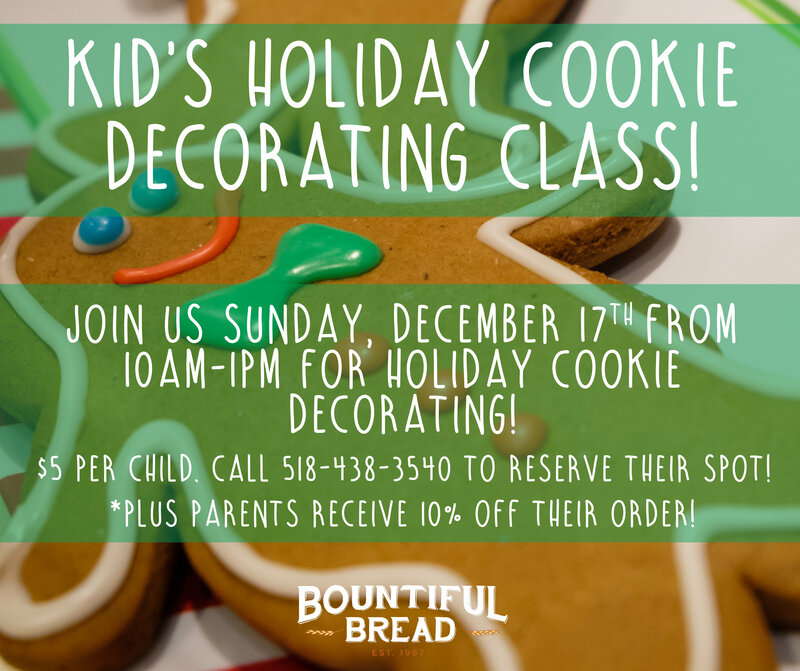 Bountiful Bread in Stuyvesant Plaza is holding a Kid’s Holiday Cookie Decorating Class this Sunday (12/17/17) from 10 AM-1 PM. Each child will receive one gingerbread boy or girl and the decorating supplies needed to make their holiday masterpiece. Call 518-438-3540 or stop in to reserve your child’s spot! $5 per child + Parents/Guardians receive 10% off their purchase during the event.